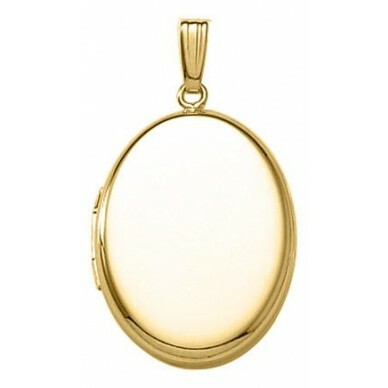 This is a classic smooth polished oval locket. It measures aprox. 3/4" across and is about 1" long (not including the bale). 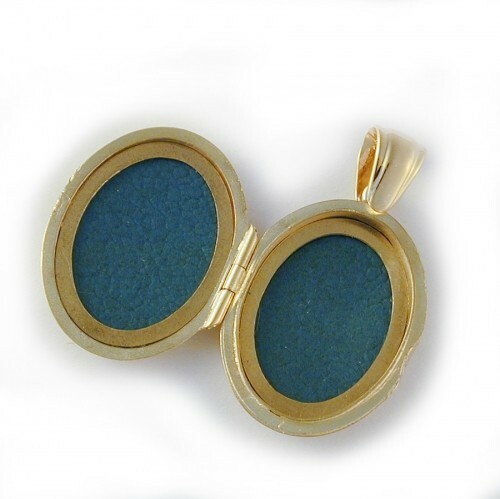 Inside you will see it holds 2 pictures with plastic inserts. 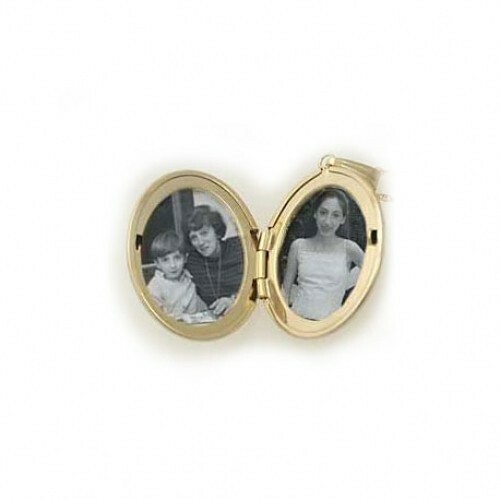 A great gift, it looks wonderful with a monogram on the front, or a sentiment on the back. 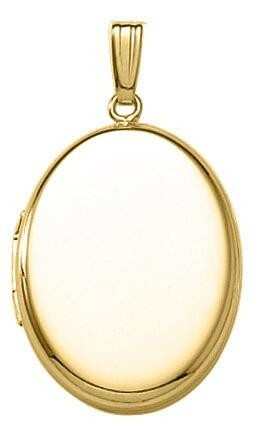 It comes with an 20" yellow gold rope chain. Made in the USA. Lifetime warranty.